We just recently talked about the KIA Stinger GT S and how it could compare with the Audi S5 Sportback. That idea may have seemed ludicrous just a year or two ago, KIA competing with Audi. However, the Stinger can seriously hang with the best from Audi. But what about a Hyundai hatchback? Surely, that’s a joke, right? Well, no it isn’t, actually. 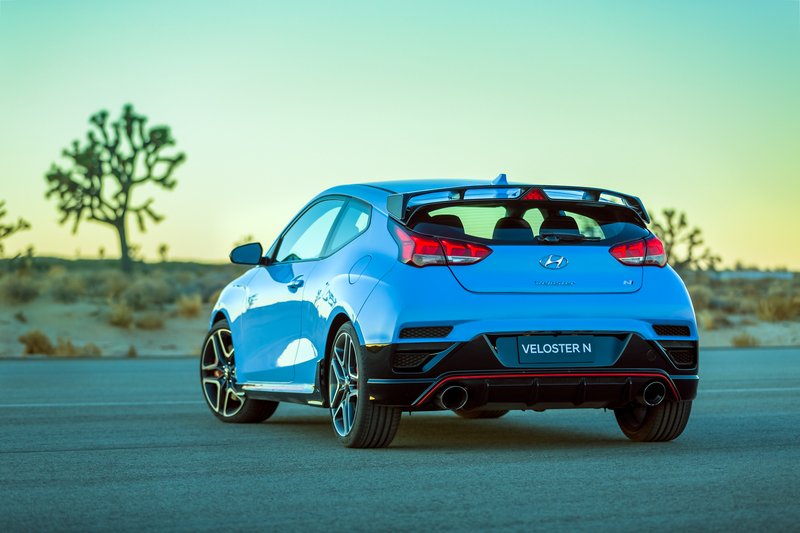 The new Hyundai Veloster N is a real-deal machine and one that could very seriously threaten the Audi S3, in terms performance. I make that “in terms of performance” distinction because the Veloster N isn’t going to threaten the S3, in terms of sales. No one is going to cross-shop the Audi S3 with any Hyundai and that’s actually a shame. 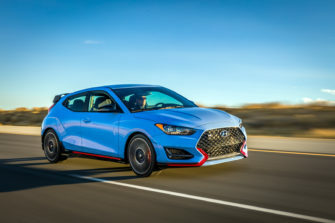 It’s a shame because customers will look down on the Hyundai Veloster N due to the “H” badge on its hood, which isn’t as prestigious as Audi’s four rings. However, the new Veloster N could very well become one of the most fun hot hatches on the market. Whether it’s the Audi S3 Sedan like we get in America or the S3 Sportback that Europe gets, the Veloster N can properly hang. The first car in Hyundai’s performance “N Division”, this new Veloster N is a hot hatchback that’s been designed purely for fun and excitement, not necessarily all-out performance or lap times. And we have reason to believe that it will deliver on its promises of fun, thanks to the man who heads Hyundai’s N Division. That’s music to our ears, as Audi has been a bit too worried about numbers and lap times. The Hyundai Veloster N seems like it could be the flip side of that coin. 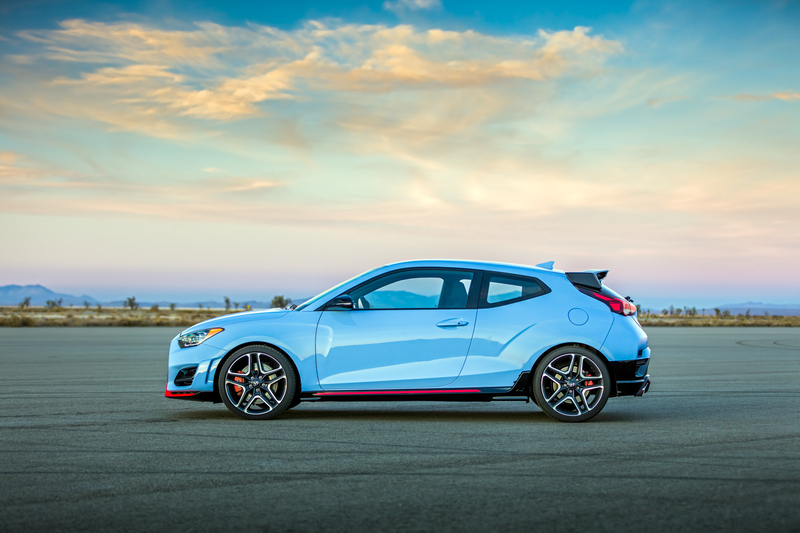 Powering the little Korean hatchback is a 2.0 liter turbocharged four-cylinder engine that makes 250 hp as-standard but can be bumped to 275 hp with a Performance Package. That little turbo-four is mated only to a six-speed manual transmission, as the car gods intended, and it sends its power through an electro-hydraulic limited-slip front differential. It also packs three-way adjustable dampers, an active exhaust, auto rev-matching for the gearbox and a stiff rear strut brace. So it’s clearly been setup to be fun to drive. What’s its 0-60 mph time? Who cares, honestly. It’s not designed for that sort of thing. It’s designed to be fun. Sure, the Audi S3 is going to be faster, thanks to its 292 hp turbo-four, twin-clutch automatic gearbox and all-wheel drive grip. But will it be as fun? 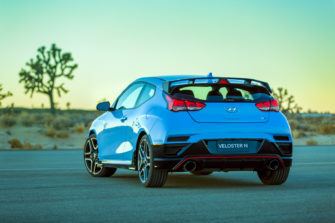 The Hyundai Veloster N packs almost as much power as the S3, a manual gearbox which is infinitely more fun than a dual-clutch in a hot hatch and front-wheel drive with a clever diff. 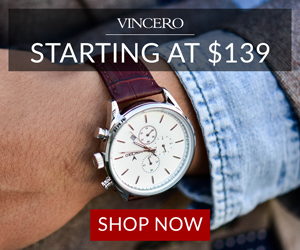 It will also be considerably cheaper, between $20,000-$30,000, compared to the S3’s $43,000. Realistically, the Veloster N will not threaten the S3’s sales sheet, it just won’t. 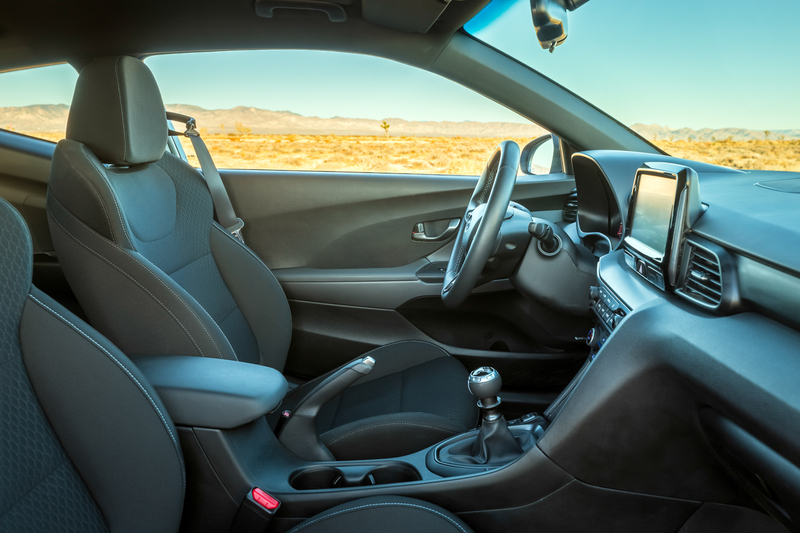 The Audi S3 will continue to pack a nicer interior, better technology and a far more premium feel. But in terms of pure driving dynamics and outright fun, the Hyundai Veloster N an absolutely threaten the Audi S3. What a bizarre world we now live in. Is this C5 Audi S6 Avant worth taking the risk?